Adaptive Tactical recently announced the release of its new EX Performance Tactical Forend. The unit accommodates Remington 870 and Mossberg 500, Maverick 88, 590 and 590M 12-gauge pump-action shotguns. The EX Performance Tactical Forend includes a powerful, 300-lumen tactical flashlight. Moreover, the unit is designed for easy owner installation. It can also be removed for alternate accessory mounting via a two-inch Picatinny rail. Or users can conceal the rail beneath the included nose cap. The tactical light delivers a run time of up to three hours. Moreover, two AA batteries power the light. Additionally, easy-to-reach ambidextrous controls include on/off button and three illumination settings, including Momentary On, Constant On and Rapid Strobe. The light features a tempered glass lens and aluminum bezel with defense chamfer edge. Finally, a high-strength reinforced polymer housing protects the entire unit, according to Adaptive Tactical. Notable, when purchasing an EX Performance Tactical Light Forend to fit the Mossberg Maverick 88 or other shotguns with integrated action bars, customers need to purchase a forend slide assembly from Mossberg or an online parts retailer. The EX Performance Tactical Light Forend retails for $129.99. For more information, visit adaptivetactical.com. 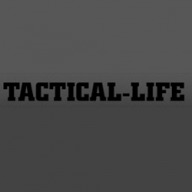 The post Adaptive Tactical Releases EX Performance Tactical Light Forend appeared first on Tactical Life Gun Magazine: Gun News and Gun Reviews.